The band of the Milky Way stretches over Natural Bridges National Monument in Utah. While Eadie’s work isn’t the first to try to estimate the mass of the galaxy, her study combines a wide variety of data sources to yield one of the most thorough analyses to date, says Alan McConnachie, a research officer and instrument specialist at the National Research Council of Canada’s Herzberg Institute for Astrophysics. Tags: Applied Research & Technology ( 5,458 ), Mt Everest ( 2 ), NatGeo, What Went Wrong on Everest This Season? Garrett Madison had high hopes for the 2016 climbing season on Mount Everest. The veteran mountaineering guide, who is president and founder of Madison Mountaineering in Seattle, had survived the devastating avalanche at Everest Base Camp, triggered by the magnitude 7.8 earthquake that rocked the Himalayas on April 25, 2015. At least 20 other climbers and Sherpas had perished. The previous year, Madison had watched an avalanche bury 16 Nepali mountain workers in the Khumbu Icefall, and he had helped dig out the victims. Madison returned this year “to remember what a beautiful climb it can be” and to lead others toward Everest’s peak. With an international team of 15 Sherpas, seven clients, and four other guides, Madison summited the world’s tallest mountain—for his seventh time—on May 18. But they changed their plans for summiting neighboring Lhotse the following day after a Sherpa who was fixing ropes died in a fall. Three more climbers died from altitude-related conditions on Everest, while two climbers went missing and are presumed to have died on the mountain. Many more climbers have been evacuated by helicopter for pulmonary edema, frostbite, and other illnesses. 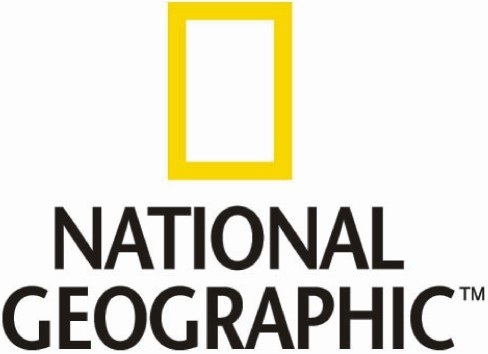 Madison spoke with National Geographic Adventure about what’s gone wrong this year, how climbers can ensure their own health and safety, and why choosing the right expedition company for an Everest ascent can be a matter of life and death. Why do you think so many climbers have lost their lives this season? I don’t know what happened in each case; I’ve only heard rumors. On the day we summited Everest, while we were on our way down, we looked over to Lhotse, which is the nearest peak to Everest. We could see a line of climbers going up the Lhotse face, but as they were going up, they turned around. I couldn’t figure out why they turned around—they were only a few hundred meters from the top. [Later we heard] that the Sherpa who died on Lhotse fell at that moment. They’re supposed to use modern safety equipment. No one knows why he fell, but the climbers turned around, most likely because no one continued fixing the ropes. That night we had a team talk, and we discussed the fact that there had been a sad accident. We didn’t feel like it was ethical to continue our plan to climb Lhotse the following day. It just didn’t seem right. This is speculation, but it’s possible that the Sherpa was piecing together ropes from the last time Lhotse was climbed, in 2013, with new ropes from this season, and perhaps the old rope broke. Nobody knows for sure. But all teams have backed off from climbing Lhotse this year because of the death as well as the uncertain safety of the ropes. In past seasons, climbers have died because of sudden storms and unpredictable weather. But weather has been good lately, right? The weather been very good this season. But when I think about mountain conditions, I always have to anticipate bad conditions and be prepared for them. There are some things you can’t anticipate—with an icefall or an avalanche, you’re in the wrong place at the wrong time, and it can take you out. In general, mountaineering is dangerous because the weather can change suddenly. In 2012, on May 20, which is the day we summited Everest and came down OK, four other climbers behind us on other teams didn’t make it. Has the growing number of climbers and different outfitters made Everest less safe? What we’re seeing now with recent Western climbers is people getting in over their heads. A lot of climbers are buying into logistics support—that includes permits, maybe a camping setup, some oxygen, some Sherpa support—but they don’t climb together as a true team. They’re individuals going up and down the mountain who are sharing logistics and services. When they get into trouble, they’re on their own. They don’t have [a] support network in place to get them down the mountain to save them. That’s a lot of what I’ve seen on Everest, these ragtag groups of amateur climbers who get in over their heads and don’t have a support network, i.e., a professional mountain guide, to make decisions and intervene and try to save them. If I have a client who’s struggling, we try not to get to the point where they are incapacitated and helpless. I try to address problems lower on the mountain and head off issues before they become life threatening. That’s why three of our folks went home [before ascending the summit]. I feel like a lot of people don’t know when to stop pushing themselves, and they don’t have a guide who can tell them when it’s far enough and what’s too much. It’s like swimming out into the ocean—you don’t want to get so far out that you can’t swim back. I see a lot of amateur climbers without the knowledge and experience pushing themselves so far that they can’t get back down. That’s what we saw in 2012: Four climbers couldn’t get back down from summit day to high camp. And that’s what we’re seeing now: Climbers can get down to high camp, but they’re so wiped out that they’re dying that night of cerebral edema or other causes—no one’s really sure what at this point. Is that partly because some guides on Everest lack the experience to be able to help their clients if they’re in danger? Well, I wouldn’t refer to those individuals as guides. I’d say some group leaders, or business owners who offer services on Everest—they’re not in the business of guiding. They’re providing services and logistics for climbers who want to come up and make their own attempt. So, there really isn’t any guidance there. It’s just, “For x amount of dollars”—which is a lot less than I charge—”we’ll give you the permit, the oxygen, some Sherpa support, some food, everything you need to make an attempt on Everest.” But that’s it. For many people, the discount in money is a big deal, and maybe they think it’s the right thing for them. But I think a lot of people get in over their heads, and unfortunately they pay the price. That’s what we’ve seen happen this year. As a guide, what is your role in helping your clients when they’re ailing? We had a member with pulmonary edema at Camp 2, and we immediately addressed that with medications and supplemental oxygen. We helped him get to Base Camp. Helicopter rescues are available; because of advances in technology we can evacuate people from Camp 2. But we’d rather have them walk down under their own power. That was the end of the expedition for him, though, because it takes a while to recover from pulmonary edema. As a guide, my role is dealing with these issues as they come up and helping them get down safely. I’m responsible for my clients’ lives. I feel compelled to ensure that they return to their families and loved ones. That’s a special service that’s part of our expedition. If you sign up with us, that is part of the deal, you’re a part of our team. But on the other end of the spectrum, with these logistics support companies, no one’s looking out for you. For some climbers who do have a lot of experience, logistics support is all they need and want. They don’t need a guide. I think that’s fine for some people, but for others, they should have a lot more supervision and guidance so they can get down alive. Because there’s no regulation of Everest in terms of guides services, anybody can offer an Everest climb, so there’s a whole spectrum of services and packages available, from the ultra bare-bones, low-end basic program to the ultra high-end program, which is kind of where we are. Climbers have to make educated decisions about who they decide to go with, based on their ability and skill set. Do you think in the future there will be more regulation of these companies on Everest? Perhaps eventually, but I think it will be a long time coming. The Nepalese government makes money off the number of climbers who decide to try Everest, at $11,000 per foreign climber. If they start to regulate how things are done, I think that will diminish the number of climbers, which diminishes the royalty fee the government gets. Right now, I think they want as many people as possible to climb, and they accommodate every type of service those climbers want. That’s what they’re focused on. What has the mood been like between the Western climbers and the Nepali workers there? Some have said they’re dissatisfied with the working conditions on Everest. Are the relationships positive? Oh yeah, very good. Relations are great—in fact, the media always blows [any conflict] way out of proportion. It’s not representative at all of the cohesive relationship between foreign climbers and Nepali high-altitude workers. I think the economic part is certainly a big reason why Sherpas and other castes in Nepal work in the mountains. They’ve got to feed their families somehow, and it certainly can be a way to do that. But I feel like all the Sherpas that we climb with really enjoy climbing in the mountains, and they love climbing on Everest. The reason I started working as a guide in 1999 on Mount Rainier is because I love being in the mountains and sharing that with other climbers. I found a way to do that and actually make a living at it. I remember thinking, Wow, this is as good as it gets! I’m living my dreams, my passion, and I’m getting paid for it. I think a lot of the Sherpas, if not all of them, feel the same way. It’s their identity; it’s in their blood. All the guys I climb with on our team are very happy to be climbing, and the camaraderie that we share is really powerful. There have been reports of some climbers taking oxygen tanks and tents from other climbers. Have you heard anything about that? I heard some rumors. I think what happens is that people get into trouble. People go up high, and they become incapacitated and desperate. They just want to survive. They do whatever they have to, meaning they’ll take somebody’s oxygen, which is cached up high, or they’ll get into someone’s tent, or they’ll take someone’s food. It happens on every mountain all over the world when people get desperate for their lives. I think we see it on Everest because there are a lot of people up there for a very short period of time, a very small window. There are a lot of amateur climbers who do get into trouble, and they’re just trying to survive. I mean, if I was in that situation, I’d probably do everything that I could to try to help myself survive. I’ve been fortunate not to have been in that situation. If I did need to take someone else’s oxygen or use their tent for shelter, I hope that I would at least be able to let them know. Maybe I could talk to them by radio so they didn’t get there and find their oxygen gone or their tent occupied. I think it’s just a condition of human nature that when people get into trouble, they do whatever they can to survive. What could climbers do to increase their own safety and avoid that kind of survival situation? I just hope climbers do a lot of research before gong to Everest, and make very informed decisions about the selection of the companies that they go with. I wish [climbers] had some coaching, or some screening process to help them not go so far, or be with somebody who could make decisions for them. It’s just really sad to see people push themselves beyond their ability, become incapacitated, and then not have the support to help them get down. That’s my main thought and takeaway from this season. Now that your whole team has summited together, are you planning on retiring from Everest? No, I think I’ll come back one more time. Our next big project is K2, and I have to be in Islamabad by June 12 to start that expedition, so for me, it’s one mountain at a time. I’ve got a few climbers who really want to go to Everest next year, so I’m planning on another trip in 2017. I’d like to climb it a few more times. But this season, it was great to have a safe, successful, drama-free expedition, especially after the last two years. Sometimes you get lucky. Scientists link a rare, double impact crater in central Sweden to a 470-million-year-old cataclysm in the asteroid belt. Around 470 million years ago, what is now central Sweden was covered in a shallow, ancient sea inhabited by tiny, plankton-like organisms. The placid scene would soon be scarred by one of the largest cataclysms in the last billion years. That’s because far away, trouble was brewing. In the main asteroid belt, between Mars and Jupiter, two space rocks were about to collide. When they slammed together, the collision shattered a 200-kilometer-wide asteroid, sending fragments ricocheting through space—some of which headed right for planet Earth. “We are quite convinced that the two craters were formed at the same time,” says Erik Sturkell of the University of Gothenburg, who presented the story Monday at the American Geophysical Union’s annual meeting. Binary craters aren’t exceptionally common on Earth, even though roughly 15 percent of asteroids in Earth-crossing orbits are thought to have a companion in tow. That’s because “getting two distinct nearby craters that are well dated has been hard to accomplish,” says Bill Bottke of the Southwest Research Institute. Today, these two 458-million-year-old craters—Lockne and Målingen—are set amidst forests and farmlands. Lockne, the larger of the two, is about 7.5 kilometers across and was created as the rubble pile asteroid collided with Earth. About 16 kilometers away is Målingen, which is just 0.7 kilometers across and made by the smaller companion. This double crater on Mars was created by two nearly simultaneous impacts. Scientists aren’t sure precisely how big the two asteroids were, but they estimate the bigger one was at least 600 meters across, and the smaller was at least 150 meters across. Rubble pile asteroids create craters that are a bit different than the scars left behind by dense, intact impactors. The fossilized remains of those hapless, plankton-like organisms helped the team determine how long ago planet Earth had gotten punched. But, how did scientists link these craters with that 470-million-year-old cataclysm? For starters, the asteroids that gouged these double pockmarks into Earth are a particular type of space rock called an L chondrite—something that is rich in olivine and relatively iron-poor. Sprinkled all over the planet are craters of similar ages, made from the same type of asteroid…and there are too many similarly aged craters, with similar fingerprints, to be explained by normal cratering rates. In addition, more than 100 fossilized meteorites have been uncovered from Sweden, China, and Russia. These small, preserved fragments arrived on Earth around the same time, and all except one are L chondrites. What’s more, the fragments bear the signature of an ancient collision that occurred about 470 million years ago—before they barreled into Earth. 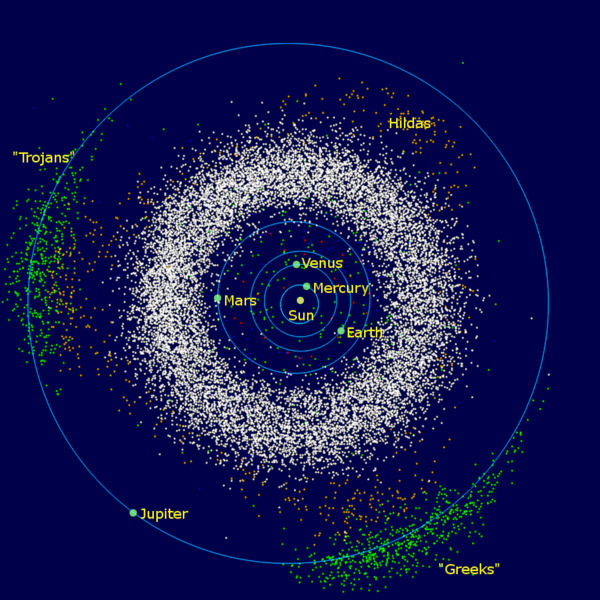 Families of asteroids are created when space rocks collide. The only way that pattern could emerge is if a mishap of cosmic proportions destroyed a parent space rock and sent shrapnel flying through the solar system. “It probably went through a supercatastrophic disruption event,” Bottke says, noting that, in addition to the cataclysmic breakup, research suggests the parent asteroid happened to be in a spot where gravitational nudges from Jupiter could efficiently send fragments flying toward Earth. “A lot of this material was able to get to Earth very quickly,” he says. You might be surprised at some of the factors that made Earth a cozy place for life to set up shop. Maybe Earth isn’t so special. “We could have easily been standing on Venus having this conversation,” says Mark Jellinek, a geologist who studies how planets form. I envision standing under Venus’ thick atmosphere of greenhouse gases, broiling on the dusty planet’s surface. Temperatures there soar high enough to melt lead. Sure, Venus and Earth are often said to be the most comparable planets—similar in size, makeup, and distance from the sun—but “easily” seems like a stretch. Or maybe not. According to recent research, if we restart the “experiment” of our solar system, seemingly insignificant early changes—like internal heat, climate, or water content—could completely reroute planetary history, says Adrian Lenardic, a planetary scientist at Rice University. Maybe a rewind would lead to life on Venus instead of Earth; or maybe life on neither. After all, scientists are now learning, there might be much more to our balmy climate than Earth’s perfectly-sized bulk circling our fiery sun at just the right distance. We cannot ignore a planet’s history: “How it got to be where it is; how it started out; how it evolved over time,” Lenardic explains. On Earth, that tipping point could have been a period of intense meteorite impacts, argues Jellinek, of the University of British Columbia, in a recent study in the journal Nature Geoscience. These impacts would have helped exfoliate heat-producing radioactive elements on Earth’s surface, allowing the planet to cool, and meanwhile jump starting a driver of Earth’s internal thermostat, known as plate tectonics. Venus is similar in size and distance from the sun, making it one of the most comparable planets to Earth. But unlike our humble home, Venus’s surface sizzles at temperatures over 880 degrees Fahrenheit (470 degrees Celsius). To host an Earth-like menagerie and luscious vegetation, scientists have long said that planets need to fall within the so-called habitable zone. This swath of space exists at a “Goldilocks” distance from a star, where a planet is warmed just enough for liquid water to flow. “At some level, no one argues with that,” says Lenardic. The idea is rather intuitive: Approach a sizzling star too closely, and the planet incinerates; move too far away and the world freezes over. But it’s more complicated than that. For instance: how far from a star is the habitable zone? That depends how hot the star is. And then there’s the size of the planet. Too small and the planet’s atmosphere escapes its gravity and is lost to space. Too large and the atmosphere becomes thick and “puffy,” says Cowan, with potential to become a freezing giant like Neptune and Uranus. Discoveries from NASA’s Kepler telescope—launched in 2009 to seek out worlds ripe for life—show that a planet up to 1.5 Earth radii may be habitable, says Nick Cowan, a planetary scientist at McGill University. Kepler 186f was the first Earth-like planet identified in the habitable zone of its star. Just 1.1 times the size of Earth, this planet could support liquid water on its surface, according to experts. Earth’s outer surface is flexible: It pulls and pushes, driven by the churning inner Earth, known as mantle convection. 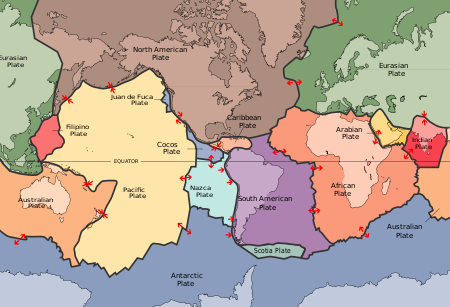 Sometime in geologic history—it is much debated when—this tug-of-war cracked the surface into a series of creeping plates. But why do they matter? The plates are part of Earth’s thermostat. Their collisions stoke volcanic eruptions, which “burp” the greenhouse gasses necessary for atmosphere. And as Earth gets “hot under the collar,” the collisions pull extra gas back down into its depths, says Cowan. Recent computer simulations show that even on Mars, with the perfect mix of gases in the sky, an active tectonic system would leave the surface of the planet quite livable, says James Kasting, a planetary scientist at Penn State, who helped shape the modern idea of a habitable zone. But what causes the plates to move in the first place? It’s all in the ingredients. When planets first form from a condensing cloud of dust, they sizzle with heat from the molten inner core, and radiate heat from radioactive surface elements. When hot, the surface bends and flexes. But like a candy bar in the freezer, the planet toughens as it cools, and when frozen threatens to break your teeth before it yields. Jellinek argues that the Earth eventually arrived at a happy temperature, cool enough for the crust to break, thanks to an intense meteorite shower that rained down on our infant planet for its first 20-30 million years, shaving some heat-producing radioactive elements from the planet’s surface. Venus may be an example of what happens when temperatures run high, he says. Instead of Earth’s minutely creeping plates, Venus’ surface is too hot and “runny” to break. Eventually heat builds up until “the whole surface caves in on itself,” says Jellinek. Catastrophic volcanism ensues, forcing the planet into a hothouse state. But if Venus had been the target of the early meteorite shower instead of Earth, would that have changed the history of life as we know it? According to Jellinek this may be the case. But not all scientists agree. Kasting argues that our neighbor Venus is just too close to the sun to sustain liquid water. Tiny and freezing, Mars is the other extreme: its surface never broke. When looking at ingredients, we also can’t stop skin-deep. The roiling convection in the inner earth drives the shifting plates. So if the planet’s minerals are too dense, they’ll “gum up your mantle convection and slow it down,” says Cayman Unterborn, a graduate student at Ohio State University. Remember the diamond planet? That dense, carbon filling prevents convection from ever starting, says Unterborn. Which of these factors is most important for habitability? It’s tough to say. The most crippling problem in creating a recipe for life is the lack of Earth-twins to study. “You’re testing against this solar system and assuming it is universal,” says Lenardic. Until NASA’s Kepler spacecraft launched in 2009 to seek out habitable worlds, scientists assumed that our solar system was a blueprint for other worlds. What we found was that “our solar system is a freak,” says Cowan. “Eventually we might discover that some of the stuff we found based on Earth is just not true,” he says. For instance, take Earth’s magnetic field, which is widely thought to help hold onto our atmosphere. Though it probably helps shield us from solar winds and flares, is it truly important for habitability? The evidence is lacking, according to Jellinek and Lenardic. The answers lie out there, somewhere, in the star-studded galaxy. A world of new possibilities is on the horizon. NASA’s James Webb telescope will launch in 2018—but even this advanced scope will be limited to searching in our backyard, says Cowen, about ten light-years from Earth. To really get to the nitty-gritty details, we need to turn to the “next, next generation” of telescopes, says Cowen: HDST, LUVOIR, and ATLAST to name a few. These mega-scopes—as wide as five buses end to end—could squint at Earth-twin candidates much farther away, even roughly mapping clouds, continents, and oceans on their surface. Though a launch before the 2030s is unlikely, the possibilities are tantalizing. This is an excellent video about Kepler and includes a section on the James Webb Space Telescope which will search in the infrared. Join astronomers in a race to find a planet that can sustain life. Amid all the space in the universe, is there another world like ours? Astronomers studying. In January 2015, NASA released the largest image ever of the Andromeda galaxy, taken by the Hubble telescope. Totaling 1.5 billion pixels and requiring 4.3 gigabytes of disk space, this photo provides a detailed glimpse at the sheer scale of our nearest galactic neighbor. By zooming into the incredible shot, filmmaker Dave Achtemichuk creates an unforgettable interactive experience.